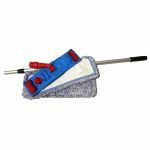 Buy MaximMart Professional Microfiber Mops, Microfiber Mop Pads, Handles. 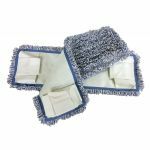 The reusable and machine washable microfiber mops is excellent used wet or dry. Simply spray a liquid cleaner or dip and hand wring for wet use. 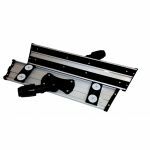 The 360 degree swivel neck gets into hard to reach spots, making it ideal for cleaning baseboards, under cabinets, and other tight corners. 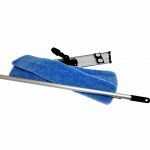 The microfiber mops is perfect for cleaning hardwood and other surfaces. 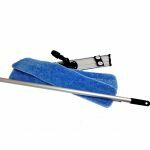 Microfiber mops are almost certainly better than any floor cleaning product you have used before! 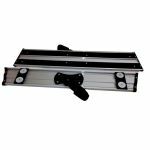 They make cleaning easier than ever on all surfaces! 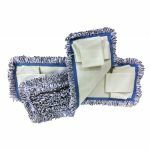 Like a standard microfiber, microfiber mops allow you to remove 99% of germs, dust, grime, dirt, and any other debris that may fall in its way. 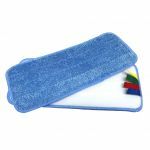 A microfiber flat mop pad is great on all surfaces including but not limited to hardwood, bamboo, tile, linoleum, and concrete. 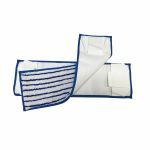 We mentioned how great microfiber flat mops were on all surfaces, but they are also great for different types of mopping! 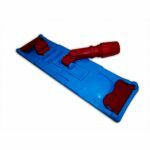 One way to use them is wet mopping. 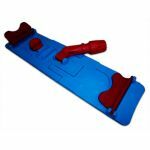 The steps for wet mopping are very simple and will leave you with an extremely effective result! Choose water or a mild cleaning product (make sure it is bleach free). Saturate the mop pad under the faucet. Reattach it via the Velcro on the frame. Remove the mop head when finished with area. Dry and use again when ready! 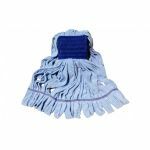 Wet mopping will remove tougher to stains such as spills, stains, pet dander, footprints, scuff marks, kitchen grease, dirt, oil, etc. 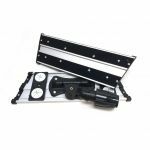 You can use them for cars, RV, vacation homes, walls, ceilings, ceiling fans, and windows as well! 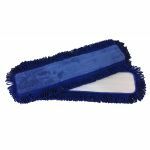 Microfiber mops work excellent to keep your floor looking fantastic between wet cleanings! They can pick up or push just about anything! 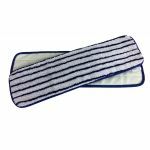 This includes pet hair, dust, food crumbs, dirt, mud, and germs. 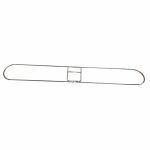 Simply just attach a pad to a frame and handle and go! 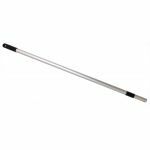 The ergonomically designed mop sets even allow it to fit in the smallest spaces! 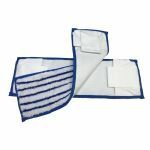 Just like wet mopping, simply rinse or wash the pad when done and reuse up to 150x! 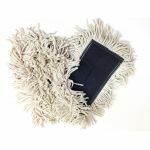 Microfiber mops are the cleaning tool of the future!